Delerium, Wild Ways, Animal Bodies, ALuna RED, Ohm and more. My second region mix, focusing this time on my home town of Vancouver, BC. 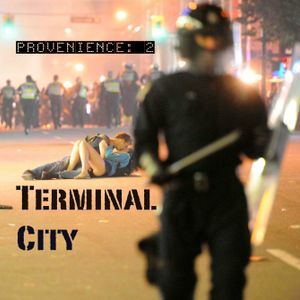 The terminal city of the railroad, the coastal city has a history of angry punk, and harsh cold electro-industrial. These form the basis of the sound of this mix, stretching from the early &apos;80s up to the current year, but there&apos;s a lot more here too. Dedicated to the memory of Luv-a-fair, The Starfish Room, The Town Pump, The Brickyard, Mesa Luna, The Marine Club, The Pic, The Emergency Room, 7 Alexander, Twilight Zone, Richards on Richards, Purple Onion, Palladium, Graceland, and The Rage; along with the defunct incarnations of The Cobalt, The Waldorf, The Lamplighter... And so many many more venues which I enjoyed in Vancouver&apos;s past.